Prior to use Saleshandy, I was on a more popular platform that had so many bells and whistles. I just needed a no frills, direct, straightforward email automation software but however popular it was, it was bulky, limited and charged astronomical amounts AND the system will fail once in a while. Imaging having to buy the PREMIUM account just to bull enrol email contacts, else you gotta do it one by one - Simply an exercise in price gouging! Frustrated and simply refusing to be extorted, I started to search for an alternative and SALESHANDY came out tops after reviewing many others. The 1 week free trial gave me so much hope and it has translated into very, very high efficiency. Ill say that I am a heavy user of Saleshandy and it has dramatically changed the way I do business. The email verification service is very handy. Also the clean breakdown of the campaign statistics is very useful as well. Sales support is fast, efficient and very helpful. Sometimes when there's a high bounce rate, campaigns get paused and eventually finished. Will be great if there's an app to notify read and email opens vs logging into the page to see. Other than that it's a wonderful software. I absolutely love it! SH is fast, efficient and no frills. It does not pretend to be something it isn't and it delivers what it does best - Email CRM. No pointless or clunky bells and whistles that you pay to not use. This is the best email tracking program I have used. It is very user friendly. Anyone could use this program. The support is top notch. They assign you a specific support person and if they are not online you just leave them a message and they get back with you quickly. They are very efficient and really go above and beyond the call of duty for you. I also like that you can copy a campaign with one mouse click then all you have to do is drop in a new csv file for the new recipients. No deleting necessary. There is nothing that I don't like about this program. The only thing that I would change would be the ability to see in one place how many emails you sent or are scheduled to send that day as a whole instead of having to add them up manually between different email campaigns. Try it out! There is a free trial available. You have nothing to loose. My cold emails are being opened and there is interest in my product! My emails are going to primary inbox and not going to spam or promotions tab. My open rates are as high as 50%! I am also saving loads of time. I have easily created email campaigns with followups scheduled for days in the future. No more tracking everything manually. I was also having problems with an unsubscribe link. You just drop the link into your email and the rest is taken care of. So simple! "Finally, an awesome bulk emailing tool that works and has the right price!" I like the user interface, very intuitive and well laid out. I like the email campaign function; it's easy to setup an email campaign with several followups with ease. I like that you can receive popup notifications when email recipients open emails and/or click links. I like the feed, where it shows the history of opens and clicks from email recipients. The price is really fair. I tried out YesWare, and it was OK, but $35/m? Ridiculously expensive. SalesHandy is at a much better price and is a better product overall. I like that you can select the interval between each email send. Very important when doing a large cold email campaign. And last but def. not least! The support is incredible. There is a chat box right there in the back end and support is available pretty much always. It feels like I have somebody always there for me when I have a question. Really remarkable. The only thing that I dislike at this point is: if you yourself view an email that you sent to someone and/or click the links in that email, it counts as an open and shows up in the feed. This is pretty annoying, but they said they are working on it and probably by the time you read this it may be fixed. And sometimes I get double notifications in the windows popup. That's pretty much it. No big deal and def. not a deal breaker. Definitely do the trial and try it out. You won't regret it. I'm doing a very large, long-term cold emailing campaign and I was looking for the right app. I tried a bunch, but SalesHandy was by far the best. Like, by far. I'm able to do my cold email campaigns, see who opens my emails, how many times, and when. So I can reach out to them. 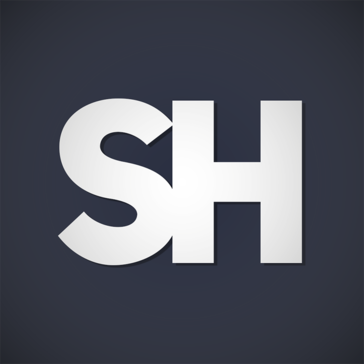 When I found SH, I just knew it was the right app and exactly what I was looking for. I tried YesWare, and about 5 over ones (I forget the names) but SH is hands down the best one I found. I'm just finishing up my free 2 week trial in the next couple days, and will be signing up for sure. I really love SH and can't say enough about how good it is all around for cold email campaigns. "A no-nonsense tool that delivers what you need"
1. Very fluid user experience, not at all cluttered like other tools with a bunch of features that confuse the user. Creating and running campaigns are very easy, so are the other features like email scheduling, link tracking etc. In short, the learning curve of this platform is minimal. 2. Pricing is very economic and is a great value for money whether you are a single user or a team. I have used other tools and they were at least 4-5x more expensive than SalesHandy. 3. Support is very helpful and always there to help. The support reps are well versed with the platform and can offer technical help to great detail. The only thing that I feel they can improve is the document upload and tracking flow. Scheduling email campaigns and follow ups are mainly the best problems these guys are solving. "Has helped us close more deals"
After a rather lengthy review, we settled on SalesHandy and have been very pleased. The ability to create templates, share them among team members and do bulk tracking, is really helpful. Several of our team members have used the 'upload' feature,, but I have just used it for individual emails. It links seamlessly with Office 365 and the new 'sequence' is pretty strong. The set up with Office 365 took some configuring for the first one, but once first one was set up, they were all a piece of cake. The one thing that I dislike is the basic (paid program) doesn't have very robust reporting. Use the free trial fully and ask for an extension if you have not seen enough detail to get a fee of the product. They gladly offered me an additional 7 days trial. This tool let's us know who and when an email has been opened. It has also helped us to tweek our emails to customers based upon response rates--meaning opens, clicks and return emails. "Favorite sales tool for email outreach"
It's simple and incredibly affordable for what you're getting. If you need a bloated sales platform with more bells and whistles than you'll likely ever use, then there are plenty of alternatives to SH out there. 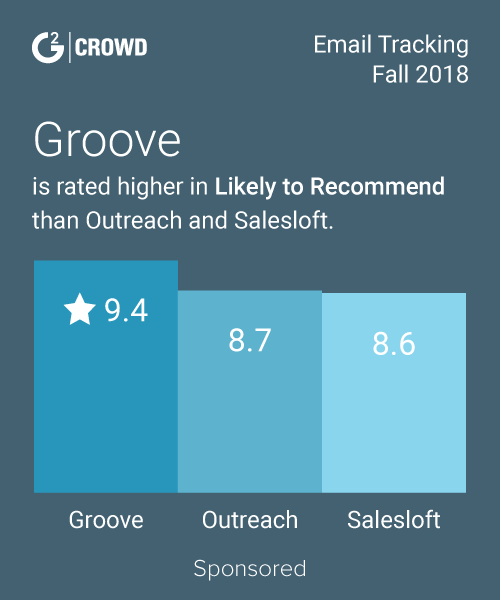 However, if you're just looking for a quick and intuitive way to send sequenced sales emails and receive basic reporting on performance, I can't recommend this tool enough. There are some small finicky things about it that I'm sure will be ironed out over time. Doesn't seem to be a search feature. Can take a bit of time if you have several active/inactive campaigns in your feed history. Would also be nice to be able to upload a new list directly to inactive campaigns vs setting up a new one each time. If you have any issues/concerns, the SH team is quick to respond and very helpful! Sending automated sales emails to lists of prospects and email performance reporting. Having a seamless process with automatic follow-ups save me a ton of time. If you're a small team or one-person shop doing new biz dev, SH is a must. "Customer support team is amazing!" The email campaigns work awesome, but the best part would have to be the support team who go above & beyond to help you set it all up! I honestly can’t think what I dislike about Saleshandy! Just give it a go and you won't regret it! The team are so awesome so any questions or concerns you have they'll help walk you through them so you feel fully confident you'll get the most out of all the amazing features they offer! I’m using it to grow my speaking business with email campaigns to schools and I’ve doubled my bookings already! Sometimes teachers just need that extra follow up to remind them and I’ve noticed that’s hugely improved their response rate to me so thank mail merge campaign has been a big winner! It’s been great to be able to track metrics like number of times an email has been opened so I can personally follow up with those who are reallyyy interested etc. I just feel so much more in control of my lead generation now, and want to thank Kedar, Utsav and the rest of the team for being there to really help get the ball rolling in the beginning. "Easy to use Gmail Add-on with Robust Features." Brings most of the functionality I need and have come to expect after trying several options in regards to email tools. Really enjoyed the templates and email sequences. Makes follow up a breeze and scheduling also works fairly well. Email tracking is basic and thats just the way I like it. Wish this had a way to connect with our CRM better. However we used a G Suite integration with active campaign to get it running. If you need something easy to use and doesn't require a lot of time to get up and running. This is the tool to integrate into gmail. Marketing and Sales automation - Email is still one of the best contact tools. This makes email manageable and replicable as a process. "Top quality email tool! " The best features are the field input where you are able to customize and personalize your email to your contacts and how you can do campaigns. The interface is super easy to use and you will become quick to set up your campaigns for your mailing list. one of the key reasons I choose SalesHandy over other email services is because of their user-friendly interface and costumer-service. If you have any questions they are always online and responds within hours. I've never had any issues with SalesHandy which is extraordinary! They actually recently fixed the only dislike I had about the service which was how many emails you can upload in your list, which was 200, but now you're able to send out the full amount regardless of which plan you have. The tool saves me so much time compared to send out emails manually. It's a huge help to personalize your emails for each of your contacts in your email list and you can quickly set up campaigns, track emails, open rate, link clicks. document attachment and much more. "Great service with helpful support"
Very reliable and professional software. I would love to mention here any bad points but I simply haven't found them yet. I've been very happy with it and it hasn't failed to me. Support is top notch and that's paramount for me. So far nothing, am very happy with all the features. As well as with its price and customer support. I was after a way to track my outbound emails and tried a good number of companies in this business. At least 5 companies. I tried them and compared them before deciding on the one I want to do business with. SalesHandy won this comparison hands down and in all departments. It stood out so clearly and obviously that it was a no-brainer to me that it's that company I want and need to go with. I needed email tracking software and SalesHandy is exactly that, a software house specialising in that. A perfect match for me. "Really good service and professional sales people multiply the benefits of SalesHandy"
Comparing the demo experience between 2 companies, the SalesHandy demo experience and sales communication is really great, and helpful, and responsive, and handled by people who are clearly well trained in professional sales. The other company (it was for a different product, a chat bot, not email tracking) offered a dismal demo experience - one of the first things the demo rep said he could take my credit card for the premium package TODAY! Yikes. I needed a chat bot but am on the free plan and have no interest in upgrading. SalesHandy, on the other hand, gave me a true person-to-person walkthrough of their product so when it was concluded I fully understood its capabilities and how to do everything that I wanted. Great product, and you get the sense that further improvements are in the pipeline - but the professional demo and sales approach from the SalesHandy team makes a big difference - something that is absent from many other new and inexperienced companies. There are a couple things like they need to improve their mobile presence, but I was told that is in process. Not much to dislike here. Schedule a demo and participate in the Free Trial - I think you'll be impressed not only by the usability of the product but by the people providing the demo, service and sales communications. Clearly professionally trained. "Fantastic program and great customer service"
When my old email template and tracking company announced they were shutting down, I was really concerned because we rely on it heavily. My concerns quickly turned to relief when I found SH because they turned out to be even BETTER! Plus, they have live chat support to answer any questions I had getting set up. So far, there is nothing I don't like. The product does everything I need it to do. Do it. Great product, service and priced well! We have form emails we use to send to our clients with every purchase and SH enables us to do that and see when they were received and read and if links were clicked. "Awesome Sales Scaling Tool for all Business Size"
Online or offline, businesses thrive on sales. Whether you're a 1-person company or a multinational, you need to keep the sales pipeline well oiled and performance oriented. Email marketing is THE best tool for scaling sales but it's definitely a waste of time if I have to send curated prospects an email one-by-one. SalesHandy helped to automate the complete email marketing process at a fraction of the cost charged by others. My team has been using SalesHandy since 1 July and till now, we haven't found any reason to dislike it. Use it to scale your sales pipeline without the worry of getting banned. 1. Mass mailing often leads to email account suspensions and IP bans. SalesHandy solved this by scheduling the emails at intervals. The max time frame is 3 minutes. If you have to email 200 people, you can choose a time, let's say, 10 PM and a 3-minute interval between each email. So, those 200 emails aren't sent at once but each is sent every 3 minutes! Amazing feature. 2. Emailing tools often cost a bomb. SalesHandy doesn't. It's just $9 per user if you're on a monthly billing cycle, with a 200 email daily quota. Therefore, 6,000 emails at $9 is a steal deal. Lastly, their SUPPORT team deserves an award. They are awesome. "Efficient and hassle free email management." The best thing I like is basic idea of email campaigns. It is really easy and comfortable. It is easy to gain a feedback this way and of course easy to send emails with marketing intensions also. Mostly there was no such a thing. Hopefully this company will remain passionate about their product in future! My problem was not Bussines related, but if any bussines owner who's job is closely related with the people will be abke to get the best out of this product! It is as simple as I said. All that I liked about it was that it had a free email tracker and the dashboard to see the history which is a past now. There isn't much you can do with them as they have limited the version to 15 activity only for a free version which I understand that most companies need to as they want to push their clients to become a paid one. For the free version that was there when it was with unlimited view that is the reason why I am giving 5 stars. 1) Limitation on activity view per month upto 15 for free. 2) Their chrome app seems to have a glitch as I often do not see notification about people opening email. 3) I upgraded my self to email scheduling software but to be honest I wasn't satisfied. I thought it sends 200 at a time but later I realize I only upload a csv file of 200 contacts at a time. It really becomes hectic to create multiple files of 200. Remove the 200 upload limitation per file. Make notification free as it was earlier that was the reason why I felt comfortable trying saleshandy for email marketing. "Not ready for real world use. Don’t embarrass yourself in front of clients!" In theory solves the simple task of sending clients a document (I.e. proposal) and tracking how much time they spend viewing it. Documents are seemingly downsampled and appear blurry on iPads and retina macs or any high resolution display, even if your original pdf appears crisp and perfect. Also the viewer page that your clients will be taken to is buggy. Some pages of your document may be dis[layed upside down or at different zoom levels than others. Crazy! The developers expect you to spend tons of time helping the, troubleshoot and doesn’t seem to have ever even tested their own product. Small company, apparently. We wanted a system to track document opens for docs we send to clients and partners. "Email Tracking That Is Easy To Operate"
The ability to track how many times user's open an email. It's also nice that there is an option to search by contact which allows you to see the history of the contact. There is no mobile freely version or the ability to only track emails with Gmail and Outlook. A great entry level email trying system. To know if a business is opening our emails, how many times they opened it (which can relate to interest) and for us to see if we need to locate a different/nother contact. "Great productivity tool to stay on top of customer interaction!" The feature I like the best is automated follow-up email campaigns. I wish it would allow different delivery times for different stages of any email campaign. This is a solid product with very good customer support. The development and support team are small enough to be responsive to issues as well as feature requests. It takes a little time to learn how to set it up for optimal benefit, however, once you learn it, it's a good tool. Overall, I highly recommend SalesHandy. I use SalesHandy to be able to stay in touch with customers and prospects with some degree of frequency. I'm able to keep my name and information in front of people with relative ease. "Great product with great support staff! All for a winning price!" Price to quality ratio is very good. It has all the functionality i like (tracking email opens and sharing file links/tracking file opens). File opens can be tracked at a per page or slide level which is great. The interface can be improved a little bit, it's sometimes unclear where to find the information i need. But i heard they are developing a new version which solves many of these problems. Lead generation - General sales process. I have much more control over the success of my campaigns (not run in SalesHandy). I get a good picture of how my mails are being received. I have actionable data which i can use to improve my sales. "Poor product driven by unethical business practices"
The product does not work as described. Has a number of bugs and issues that have affected my business. Some examples - mail tracking shows that the email to the customer was opened 273 times. even after clicking on the send button, email responses were sitting in the draft folder and we were never aware of it. sales handy agreed to the problems and blamed it on their recent release. After 3 weeks, no resolution and zero response from saleshandy team, we canceled the service and they kept our money. Utsav's quick response time. My schedule prevented the intial assistance and Utsav followed up persistently and made himself available around my schedule. Nothing. Utsav was great! He quickly solved the issue. Knowing when my customers are viewing my communications is ciritical. I am now on their timeline and have a better understanding of when to contact them. I've been using SalesHandy for our outbound email campaign, we've run several campaigns and had tremendous feedback on our test campaigns. The tool is easy to use and I can see that as we grow SalesHandy, we make it easier to manage our communications. Highly recommend! Nothing! I'd like to see a longer trial period so I could provide detailed feedback. As previously outlined a fantastic tool for managing outbound email campaigns with segmentation and offer tracking. Really a fantastic tool for digital marketers. Multiple outbound email offers to multiple segments. Tracking and email management is a breeze! "Does Just What I Was Looking For"
I dislike the signature in the email. I did not realize that when I first sent a message. Needed an app for Gmail open notifications and been really impressed with what SalesHandy offers. Not applicable - Sales Handy failed to get the app operating correctly. I experienced several glitches whilst trying to get the Sales Handy app operational within Outlook and I found the customer support very slow, and far from efficient. So much so that I stopped using the app after just a few weeks and transferred to Bananatag, which I have found far more reliable. In addition to the set up problems I experienced, even though I hadn't used the Sales Handy app for 10 months of the 12 I had originally paid for, when they charged me again for an autorenewal after the first year, they refused to issue a refund. Very poor and I definitely wouldn't recommend! "Great tool for startup sales team!" I have tried a few email automation/ marketing campaign tools out there and SalesHandy is by far one of the most - well - handy. If you send emails with Mailchimp (and a few others similar services), your emails will probably land in the Spam or Promotion box. If you send with Gmail (I use G-suite) extensions and the likes, tracking and analytics will be a pain. SalesHandy sends your emails every 60-90 sec (you can adjust this) so I guess emails are more likely to land in the main mailbox of the recipient - Love this feature. Campaigns are neatly tracked in their dashboard, which isn't as visually fancy as (let say) Mailchimp or Vision6 but it does the job well - that's all I need. Give it a try! You won't regret! I was trying to automate the email marketing campaign while making sure that emails would land in the recipients' main mailbox. SalesHandy serves that purpose well, tracking & analytics tools are reasonable too - meet the most essential requirements. "Best tool for any Sales Manager"
Unlike tools like Mailtrack this tool not only helps me track emails but it lets me help track activity of my team. I can even see if my team is doing something wrong and correct it without much efforts. At this pricing Schedule later is like cherry on top. Dont have inside gmail notification, but dedicated live feed is needed when you are looking at team. "Just use it. It'll make your life easy"
nothing to dislike. it's working effectively. being able to follow up smartly and effectively. with email tracking, you know what has happened with your sent email. SalesHandy has some of the absolute best customer support I have ever encountered. They go above-and-beyond to help their customers and improve their product, and since they offer a free trial, there really is no risk involved to use their product. While it's fairly simple, I find that setting up email campaigns can be a little clunkier than it needs to be. Specifically setting email delivery days/times can be a little more cumbersome than I would like. Give it a try! They have a free trial unlike a lot of other softwares like this. SalesHandy automates my email outreach and follow-up, and overall they do an awesome job at it! Nothing. There is really nothing to like as the product failed to meet my requirements! Worst customer service when it comes to billing! Didn't track my emails and that's the only reason I paid for this software. They have a 10 day refund policy, but don't expect to cancel and refund money. Stopped answering emails when asked to refund my money. "Unresponsive and dishonest when cancelling"
They do not have email campaign compliance with opt out ability. It also turns out that if you cancel they will turn off your access but continue to charge your credit card despite multiple, polite attempts to address directly. So now I have to waste time disputing through Visa. What an unprofessional way to end things. They would have you believe you can run email campaigns but they aren't compliant. "A very simple and easy to use platform"
Very good basic functions for the price, intuitive user interface and very responsive customer support. The system from time to time glitches and moving templates to the email itself might show errors. Cold emailing prospects. Yielded successful meetings that translated into sales. "Great for local business marketing"
Nothing so far has been a stumbling block. If you want to send out personal B2B emails this is a great tool. Not for mass mail because of google 200 day limit but great for targeted campaigns. Loading local business lead and sending. I can upload then hit sent etc. Great to stop the campaign if the person opens your email or replies so you are not continually sending like a tradition auto responder. Its email tracking features are outclassing. There is a material interface which integrates well in Google's material designs. highly recommended very efficient tool! SalesHandy is a fantastic tool in my opinion. I am regularly using it to make staff meetings. On a daily use, we stay connected to each other through it. For this, the PLUS value is more than just a bargain. I also monitor their usage of emails to make sure they are a 100% concentrated on the company and not focussing on other things. Sales Handy has been a great analytic tool so far. We have implemented after our team lacked productivity and performance. With this tool we are now much more organized and effective. On top of that there so many additional tools like email tracking and live meeting that are extremely helpful. The software is intuitive and easy to use. It is smooth, fast analytic and communication tool that we will continue to use. SalesHandy cannot be integrated with box. Although we think that this is not to much of a problem, we found other alternatives to box. It is a great analytic tool for sales and this has largely improved our organization, effectiveness and sales. "My business productivity is so much easier to track!" It is an easy tool that allows us to track each critical aspect of our business. As an Industrial contractor, I believe it helps to increase the productivity and sales by 40% of my work team. We are more organized. It is not really a dislike. They can improve on updating and make new more tools of productivity and communication, they have good ones but you can always do better. Before, we kind of lost track of our productivity. That caused some loss of earnings that we made in our business. Now we have control of our productivity. nothing really. It doesn't send you lots of junk emails and it also works with other features you like to use on your gmail at the same time. I would like to know if the messages are delivered well and saleshandy helps me. simply easy to use. and with the help of software keeping insights and tracking of stats for files. saves time. moreover, it also allows us to share screes, which is a very useful feature, with this i was able to guide my junior colleague. great experience!! there are bugs and glitches in gmail plugin which needs to get fixed. sales effectiveness, it is highly reliable. i was having drop of sales, but now with the help of saleshandy my management team works in collaboration and with efficiency. 1. Email alerts give real-time help to follow up with prospective clients. 2. Filelink and mail merge are easy to use while approaching the prospect. Need improvement in design and screen sharing feature. But not a big issue. Saleshandy is being used by our sales team to present materials to prospective clients. Saleshandy makes it easy to send presentations through email as well as track who is viewing the presentation so that we know when to follow up. Also, We can share documents with getting actionable analytics. Sometimes I want to reach people as quick as possible, but other times, I’d prefer to have an email reach someone on a specific date. With SalesHandy, I can schedule emails to send themselves at the perfect moment. I can write emails when I have time, but send them when they’ll actually be read. Nothing comes to mind. I am quite satisfied with what I have seen so far . SalesHandy is the way to go!! Not Having Enough Coverage When You Need It. With Email scheduling ,I can send emails when they are likely to be read. "Great Tool For Sales Team"
We use Saleshandy to track email as well as attach some templates we've created. Numerous templates for onboarding prospects can be used. It is very handy as we can simply insert and edit the templates while creating our e-mail to the prospects. It doesn't have integration with box. Screen sharing can be simplify more. Email tracking features is best out of them all. "Great option to schedule emails"
Easy to use, very effective, great costumer support. Scheduling and tracking emails works as promised! Scheduling emails, that's the main feature that I was looking for and SalesHandy delivered that to me. "Efficiency and creativity brought back into my sales prospecting activity!" The ease with which I can build, use and maintain templates. Lack of detail around email tracking - I'd like to see more detail when look at my email "opens"
I am sending more emails in a more personalized fashion and building stronger relationships with my prospects faster! My favorite feature about Saleshandy is the email tracking and reminders to follow up. "Great customer service by Utsav"
Utsav was very helpful in solving my issues. Thanks, Utsav! I have no issues at this point...all is good. Email viewing status and email automation. * We monitor all SalesHandy reviews to prevent fraudulent reviews and keep review quality high. We do not post reviews by company employees or direct competitors. Validated reviews require the user to submit a screenshot of the product containing their user ID, in order to verify a user is an actual user of the product. Hi there! Are you looking to implement a solution like SalesHandy?